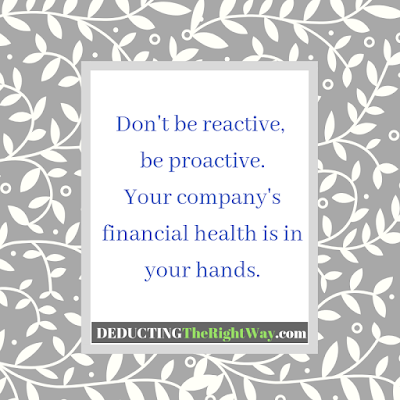 It may not seem like something that happens all the time, but accountants (and other service professionals) are paying close attention to your decisions which can lead to an unexpected and unwanted firing. It's tempting to pay less tax by not being honest, but a licensed tax accountant has better things to do than help you save money on taxes with inflated tax figures or tax deductions you're not entitled to claim. 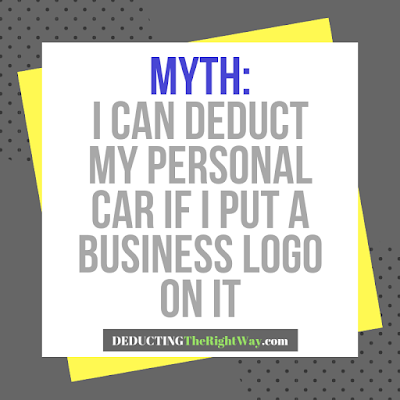 If you are working with a tax preparer who agrees to lie on your tax return, then you're not working with the best professional (and probably paying too much tax because they don't know what they're doing). 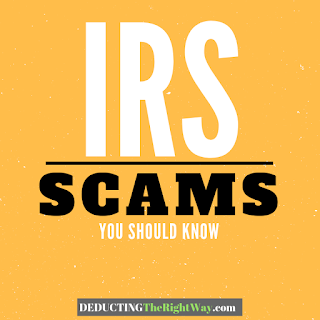 If your tax preparer finds out you're stretching or hiding the truth with the financial reports you provide or other pertinent details, then they are likely to fire you. Often, the real story reveals itself while the accountant prepares the tax return because something jumps off the page at them. Remember, accountants crunch numbers and can quickly see inconsistencies. 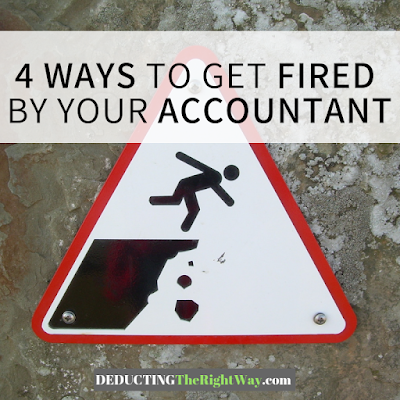 The fastest way to get fired is to make your accountant chase you for answers or documents. If you're prone to pulling a disappearing act, then it's wasting the tax preparer's time and money (because they didn't price you correctly). Don't forget that you are not the only client that needs your accountant's attention. You will probably be on the lousy client list during the annual review of client files. Rekindling the working relationship only at tax time will not fly if you want to work with the best advisers. More accountants are staying away from clients who do not engage them frequently. It’s frustrating to see a small business owner complain about the amount of taxes due on their tax return yet avoids professional tax advice (but wants their situation to change). It's a catch-22. TIP: A lot of service professionals are following Pareto's 80/20 rule which means you are more prone to firing if you are part of the 80% who are consuming their time but not generating enough revenue.